Commercial Painting, Charlotte, NC | Pride Painting, Inc.
We take pride in delivering excellence for each commercial painting project we undertake. 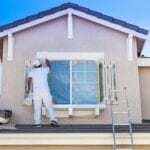 When you have a commercial painting project, you want to know that the company you hire will provide a quality, lasting result, but you also want them to be professional around your staff, customers, vendors, and others. Here at Pride Painting, Inc., we recognize that it is important to have as little disruption as possible, so we are happy to work around your schedule and complete the work as quickly as possible without sacrificing quality. We choose our painting materials and our painting techniques carefully for commercial painting projects because we know that strong scents are disruptive and won’t be appreciated by your staff or customers. For example, low-VOC paints don’t put off as much of that new paint smell and also won’t contribute to the chemical buildup you would want to avoid in a commercial environment. We are confident that you will be pleased with our attention to detail and how we treat your building, staff, and other occupants with the utmost respect. We work hard to maintain an A+ rating with the BBB, which is easier than it might sound, since taking pride in a job well done is something that we’ve focused on during our more than 30 years in the commercial painting industry, beginning even before we formed our company in 1996. 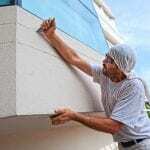 If you would like to know more about our commercial painting services or schedule an appointment to get a free quote for the interior or exterior project you have in mind for your Charlotte, North Carolina property, don’t hesitate to contact us.